The internet is abuzz by the Talmudic Hasidic Orthodox Judaic sorcerers and blasphemers, false prophets, of their coming imminent Moshiach, AKA the Son of Perdition, who is to be revealed. (2 Thes 2) Even as the evangelicals who have not believed Truth in Righteousness await their secret rapture, who will embrace this imposter, for they also await the imminent coming of a false Christ before the prophecy of the 7th Trumpet of the Revelation of Jesus the Christ the Lord, in absolute apostate oblivion. Are you with these? Or are you faithful until the end? Just a few days prior to the Jewish New Year, Rabbi Nir Ben Artzi, a noted kabbalist with thousands of followers in Israel, has revealed a divine redemptive plan for the world which will see Europe overrun with Muslims, Syria’s chaos spilling into the West, the US elections spelling disaster for American Jews, and Israel’s importance becoming greater than ever. (After the working of Satan who these sorcerers serve…RP) Looking back May, 2013. Note: Jewry is a religion of Judaism, all Judaism reject Jesus the Christ. There is no such thing of a benevolent jew. Do not confuse zionism which is marxist communism, atheism with orthodox Talmudic Hasidic anti-Christ Judaism. But the end result of all this strife is closer, and more rewarding, than anyone can imagine: Messiah. “Everyone is ready, waiting for the public revelation of the Messiah!” the rabbi last week began a post on his webpage. “Everyone understands and knows that the Messiah is active right now,” he wrote, noting that all of the world events this year are merely preludes hinting at what will come. 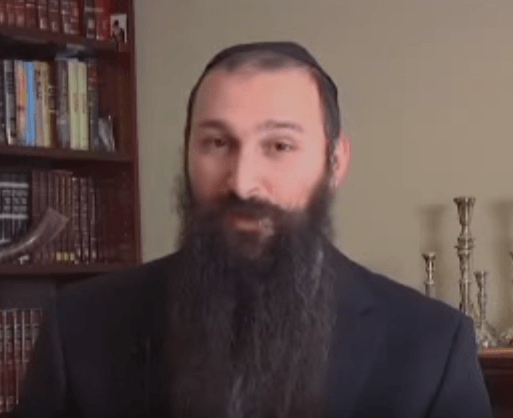 Rabbi Ben Artzi, an Israeli rabbi who gained followers after rumors began to circulate of his prescient abilities in his youth, warned of the impending messianic war of Gog and Magog, which he said is a part of a spiritual process becoming clearly visible in the Middle East. “God is creating Gog and Magog, a situation of tohu vavohu (unformed and void, confusion) in the entire world, in order that the Jews will understand that there is Redemption and Messiah, and that it is God protecting the Holy Land,” the rabbi said. The chaos of the coming redemptive war is already spreading, he continued, pointing to Syria as evidence and predicting that it is just the beginning. “Syria will continue to be wiped out. It is a wasteland, harming countries who try to intervene there,” he said, explaining that America and Russia would end up getting burned by their interference in the quagmire. “They are only engaged in blowing it up entirely, harming themselves in the process. “Leaders will destroy their nations, and nations will destroy their leaders over this situation,” the rabbi predicted, noting that the crisis is already threatening to engulf neighboring Turkey. Indeed, claiming humanitarian intent, the world’s superpowers have only succeeded in creating more destruction in Syria and bringing their own countries closer to war. The situation has already led to confrontations between Turkey, a NATO member and US ally, and Russia, with a resurrected and aggressive military. The war will have massive and terrifying international implications, including refugee crises, Rabbi Ben Artzi continued, warning that the Syrian refugee situation in Europe today is only a small prelude to what will be. He predicted that a revolution in Turkey would send “tens of millions” of refugees from the Muslim country to Europe. The ongoing Islamification of Europe is already a critical issue faced by European leaders who, after welcoming hundreds of thousands of Muslim refugees into their countries last year, saw a shocking spike in radical Islam and terror attacks. Bombings, stabbings and shootings left hundreds dead across the continent. Rabbi Ben Artzi also touched on the US presidential elections in his talk, including an unusual warning to American Jews. 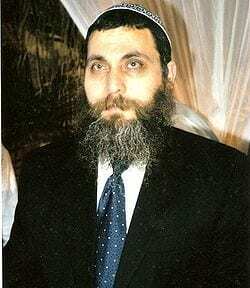 The rabbi warned in no uncertain terms, “Anyone who touches Israel will disappear from the world. They will immediately get hit with earthquakes, floods, fires, and storms. Hamas and the Palestinians have so much, but since they don’t leave Israel in peace, in the end they will be left with nothing.”Indeed, Israel figures large in world events, as “the entire world is sustained on the merit of Israel,” the rabbi announced. Interestingly, in June, just as world leaders were stepping out of a meeting in Paris concerning a French-led initiative to force Israel to create a Palestinian State within its borders, rain began to fall and the Seine began to rise. Within 24 hours, Paris suffered its worst flooding in over 30 years. He also said, “There are prophecies that there is going to be an 11-second war. STAND UP FOR ISRAEL,S KING!!! 1 Samuel 25:29 “Abigail said to David… “But the soul of my lord shall be bound in the bundle of life with the Lord thy God.He who has My Commandments and Obeys them–he it is who Loves Me .And he who loves Me will be Loved by my Father, and I will Love him and I will clearly Reveal Myself to him. .ASK THE PROPHETS AND YAHVEH.. .WHO IS YAHVEH,S beloved KING? ….WHO IS THE KING OF THE CITY OF DAVID? WHO IS THE HEAD OF THE NATIONS? UNLESS THE RUACH HAKODESH OPEN THE BLINDED EYES AND OPEN THE DEAF EARS…. YOU SHALL BE CONFUSED WITH SPEECH AND STRANGE IMAGES !!! YAHSHUA MEANS SALVATION…NOW SEEK FOR THE KING, THE KING SAID…SHMA…LISTEN!!! THE WORDS I SPEAK ……IS SPIRIT!! …AND LIFE!!! they will serve the LORD their God and David their king, whom I will raise up for them.! THE BLINDED EYES NEED A TOUCH FROM THE RUACH HAKODESH TO SEE WHAT WAS HIDDEN BEFORE THEIR OWN EYES. Psalms Scroll composed by King David …It is written about me in the SCROLL…I COME!!! TO DO YOUR WIILL!!! I have found David my servant; with my holy oil have I anointed himAnd I the Lord will be their God and my servant David their ruler; I the Lord have said it. I will … But I will see Your face in righteousness; when I awake, I will be satisfied with Your … To the Director: By the servant of the LORD, David, who spoke the words of this … your face in righteousness: I shall be satisfied, when I awake, with your likeness. ..
Perhaps you can share with the readers here how you have derived this name Yahshua or yahhasshua, Yeshua, Yehoshuah, YHWH, etc.? Good luck with all that Angel. You worship satan your father, said the Lord Jesus Christ the son Son God. Proof 1: Your mitzva “Lo Sichonaym” – Acts of compassion are forbidden towards Non-Jews. Yeah, you are chosen….by the devil, and you will burn with him in hell. What can be said, with your own mouth you have said it and in your own admission you Deny Jesus. Nothing more can be added from me, here. How do you feel Angel, if I stand Firm in the Name of Jesus who is the Christ the Lord God Almighty? What if I reject your Rabies as Talmudic Judaisers, How do you feel about that? controlling opposing posts does nothing… you have been warned and every word will judge you on the day you stand before The Heavenly Court. Your blood be on your own head. Let me guess Dean, oh, you must be either chooish, a freemason or an anti-Christ Noahide proselyte of the Babylonian Talmudic Hasidic/haredim choose? There is No Secret Dean, I am anti-Hashemitic. Good luck Dean you surely will be needing it soon when your King Saul two shows up for the Last time………..